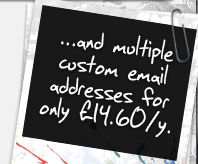 acuteFX Design offers a reliable high-speed hosting service at some of the lowest prices in the Midlands. Our hosting packages come with in-depth website statistics, diagnostic tools and email management along with dozens of other features and 'one-click installations' which allow applications like WordPress and Zen Cart to be installed without any technical knowledge. Unlike the majority of hosting companies offering an "unlimited service", acuteFX Design does actually support websites with true unlimited storage and unlimited bandwidth. As long as your website is a non-file-distribution website; our hosting is not limited in anyway. We can assist with getting your website uploaded and features installed, and even offer free website maintenance to all web hosting customers - ensuring unrivaled customer support. Our table below shows full package details. If you require a custom hosting package, please contact us today. such as phpBB, WordPress, Joomla, ZenCart and more!